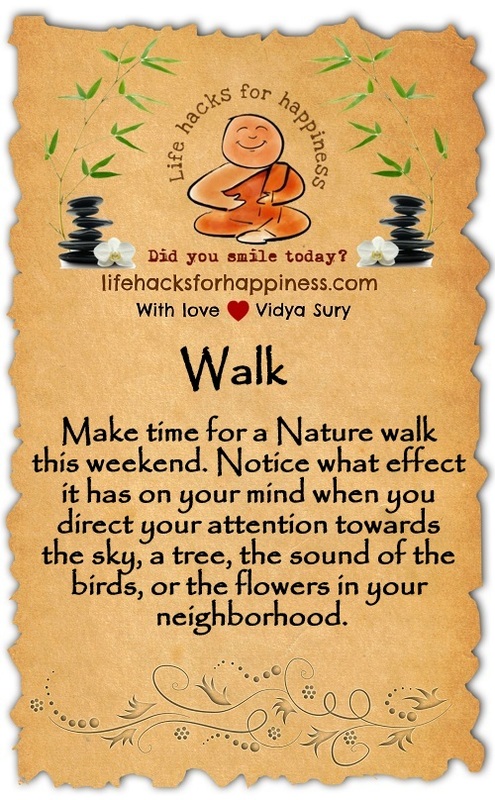 Make time for a Nature walk this weekend. Notice what effect it has on your mind when you direct your attention towards the sky, a tree, the sound of the birds, or the flowers in your neighborhood. These are lovely! I am going to have to go back and read more of your posts. They’re really similar to mine for A-Z!